Learn the key theories and terminology that are essential to formulating safe and effective natural cosmetics, in an accessible and easy-to-grasp way. Set yourself apart from misinformed DIYers and spot the common myths and mistakes that are all over the internet. Discover a wide range of natural ingredients, their benefits and uses: emollients, occlusives, humectants, preservatives, chelators, emulsifiers, surfactants, carrier oils, butters, essential oils, active ingredients, extracts, exfoliants and more! Establish a solid foundation of knowledge on which to formulate your own natural skincare and haircare products and start your own beauty brand! 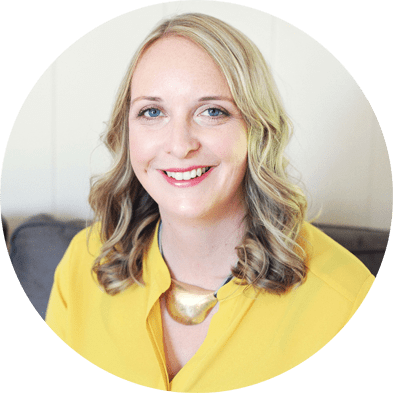 Tired of reading confusing, contradictory or incorrect information when researching how to make your own natural skincare and haircare products? Want to move beyond making DIY beauty recipes and instead understand how cosmetics are formulated and the underpinning theories and science behind them? Ready to become more professional and confident in your approach to creating your own cosmetics, for yourself or to start your own natural beauty brand? If so, you need the A-Z of Natural Cosmetic Formulation! This invaluable reference guide sets the record straight, and provides you with explanations of the essential terminology, theories and ingredient types required to create natural, safe and stable cosmetic formulations. Gail Francombe, Founding Director of the School of Natural Skincare International, dispels common myths and answers the most frequently asked formulating questions in this must-have reference book. Order today and get these free gifts! Yes Please! Send my free gifts! 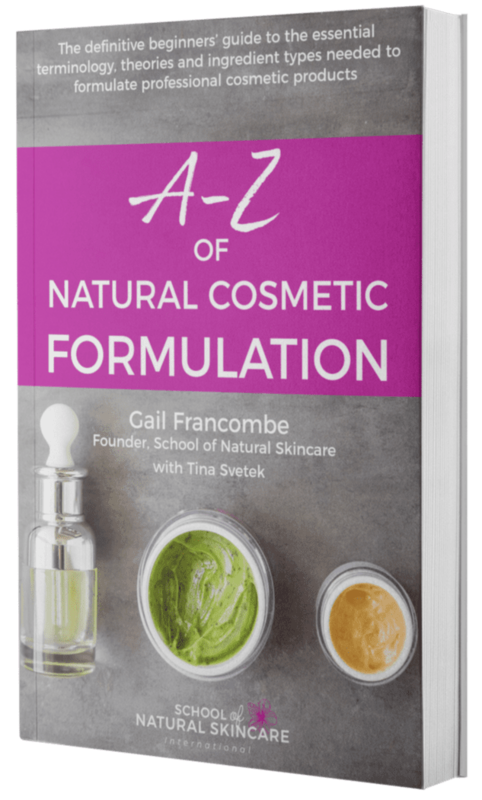 A-Z of Natural Cosmetic Formulation is a ‘must-have’ for any formulator. Gail and Tina have done a wonderful job of combining a dictionary of cosmetic formulating terminology with actual explanations, examples and charts that will be helpful for anyone, especially beginners, learning how to formulate like a professional. This book explains absolutely everything that a formulator needs to know, and discusses the key principles that the School of Natural Skincare teaches in their classes. It can be read (probably more than once!) when it first arrives, and then kept close to your fingertips, possibly in your home or lab, as you continue to formulate. I wish I had been given a book like this when I was just starting out! What I have found most useful is learning the science behind cosmetic formulas so I can tweak them or use alternate ingredients. A lot of recipes I found online were not safe to use so I needed to know how I could adjust them to make them safe. The School of Natural Skincare has made it so easy for me to do my own formulas. If you told me two years ago that I would have my own brand today, I wouldn’t have believed you. Just go and do it… there is nothing else like it. What is pH and when do I need to measure it? How does an emulsifier work and what natural ones are available? What type of water should I use in my products? What extracts can I use? What natural preservatives are there and when do I need to use them? How do I write a professional formula? What are surfactants and what is their role in a formula? What does natural and organic mean, and what recognized standards and certifications are available to me as a cosmetic formulator? Getting started: The equipment you’ll need, finding reliable suppliers, and classification of ingredients. Formula and product types: Anhydrous, aqueous, emulsion, balm, body butter, cleanser, conditioner, cream, deodorant, lotion, moisturizer, serum, shampoo, soap, sunscreen, syndet, toner. Ingredient types: Active ingredients, AHAs, antioxidants, BHAs, broad-spectrum preservatives, butters, carrier oils, carotenoids, chelating agents, classification of ingredients, cosmeceuticals, emollients, emulsifiers, essential oils, esters, exfoliating particles, extracts, fragrance, gums, humectants, hydrophilic, hydrophobic/lipophilic, hydrosols, lipids, occlusives, pH adjusters, phytosterols, silicones, solubilizers, stabilizer, surfactants, thickeners, vitamins, water, wax. Skin and hair physiology/biology: Carotenoids, ceramides, hair, keratin/keratinocytes, NMF, skin, skin barrier, stratum corneum, transepidermal water loss. Science/chemistry: Charge, compatibility, emulsification, fatty acids, fatty alcohols, hair, homogenization, hydrophilic, hydrophilic lipophilic balance (HLB), hydrophobic/lipophilic, lipid, micelles, microbes, pH, phototoxicity, polar/non-polar, skin, solubility, surfactants, triglycerides, viscosity. Extending shelf life: Antioxidants, alcohol, broad-spectrum preservatives, chelating agents, GMP, microbes, packaging, sanitizing, shelf-life. Formulating: Active matter, benchmark, evaluation, formula, function, functional ingredients, grams, INCI, methodical, product development brief, q.s, sensorial properties, sensory product evaluation, stability, target customer/target market, testing, toxic/toxicity, trade name, usage rates, viscosity, w/w%. Manufacturing: Calibration, equipment, GMP, grams, homogenize, method, phases, pH meter/pH strips, sanitize, scaling up, volume, water bath, weighing. Starting a brand: Capsule range, certifications, regulations, target customer/target market, trends, unique selling point/proposition (USP), values, you. Values/standards/certifications: Certifications, COSMOS, Ecocert, natural, organic, vegan, zero-waste. Selling products/legalities: Allergens, batch file, batch number, CAS number, CoA (Certificate of Analysis), cosmetic, CPSR, drugs, GMP, IFRA, IFRA conformity certificate, labels, microbiological testing, MSDS, Product Information File (PIF), regulations, shelf life, stability testing. Gail Francombe is the founding Director of the School of Natural Skincare International (established 2010). She is a member of the Society for Cosmetic Scientists and has been formulating cosmetics since 2009. 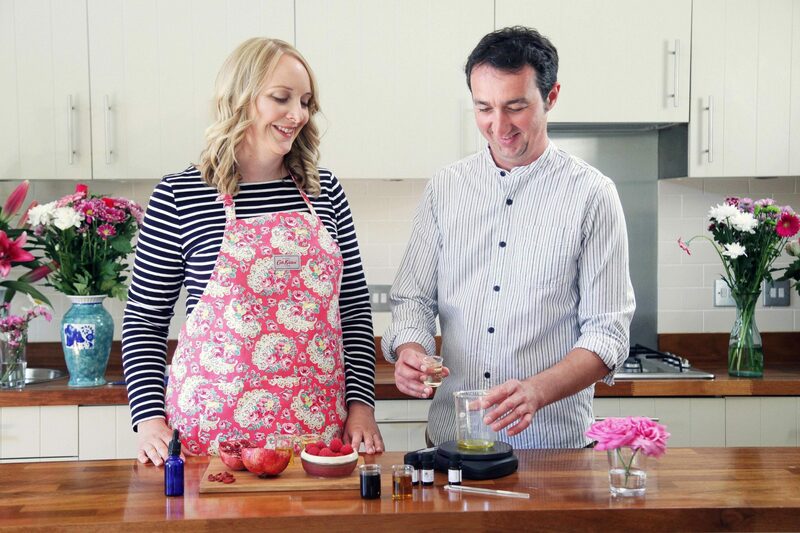 The School of Natural Skincare trains thousands of people each year who want to create beautiful, effective and safe natural and organic products, for themselves or to start a business. The School’s tutors include professional Cosmetic Scientists, Cosmetic Formulators, an Aromatherapist, Safety Assessor and Beauty Business Expert. In association with the School’s team of experts, Gail has created a wide-ranging portfolio of accredited, multimedia online courses in making natural cosmetics and formulating natural skincare and haircare products. I don’t have a Kindle can I still read it? Yes! You don’t necessarily need a Kindle to read the Kindle version of the book, you can use the free Kindle app from Amazon to read it on other devices. Can I buy a paperback edition? A printed, paperback edition will be released later on, most likely in May. Why wait though? With the Kindle edition available at such a great price (half price at just $4.99 until 19th April!) why not buy the digital version now and print version later! That way you’ll get access to the book as soon as it is released, are supporting the release of our first book and will have a digital book for reference too. How is the book different to your courses? Put simply the book covers the what and why of formulating and our courses teach you how to formulate. The book covers the essential terminology, theories and ingredient types needed to formulate professional cosmetic products. Our courses cover the theory in more detail and help you put this knowledge into practice by taking you through the process of formulating a wide range of products step-by-step. The book is a very useful written introduction and reference guide; the courses help you build your practical skills with multimedia lessons, practical activities, tutor support and a student community. Is it a recipe book? No, it‘s not a recipe book. Though if you download the book bonus gifts on this page a selection of formulations is included! To date books on cosmetic formulation have been huge science textbooks, costing hundreds of dollars, that are far too complicated for the average reader plus they don’t focus on natural cosmetics. Or they have been simple DIY recipe books, that provide recipes for you to follow but don’t include anything about the process of formulating cosmetics or much about the theories or ingredients behind them (plus many share recipes that aren’t properly formulated either). We realized that many people need a book that falls in the middle. One that presents the knowledge, terminology and theories they need in an easy-to-grasp way. Such a book didn’t exist – so we wrote it! This is the book I wish had existed all those years ago, when I was a newbie formulator. This book has been created especially for budding cosmetic formulators, who don’t have a scientific background but who do want to formulate cosmetics the right way. It’s an invaluable reference guide that provides you with easy-to-understand explanations of the essential terminology, theories and ingredient types required to create natural, safe and stable cosmetic formulations.